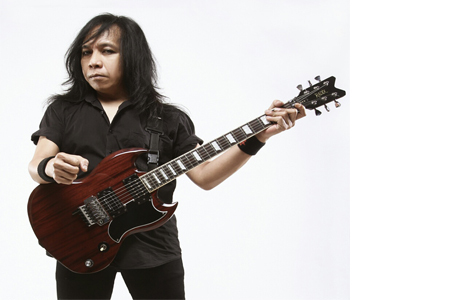 Eet Sjahranie (born in Bandung, West Java, February 3, 1962, age 56 years), originally named Zahedi Riza Sjahranie, is an Indonesian musician (guitarist). Eet is currently in the rock group EdanE. Previously he had strengthened several bands such as God Bless (replace Ian Antono), Superdigi, and Cynomadeus. Eet guitar is more influenced by guitarist Van Halen. 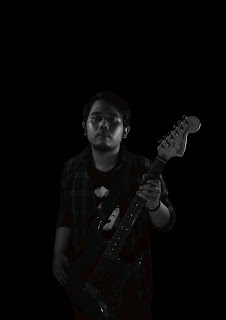 Although Eet has been listening to western songs such as Deep Purple, Jimi Hendrix, Led Zeppelin, The Beatles and Bee Gees, the intention to play guitar is actually the Indonesian band Koes Plus when he saw the game Yok Koeswoyo or Yon Koeswoyo. 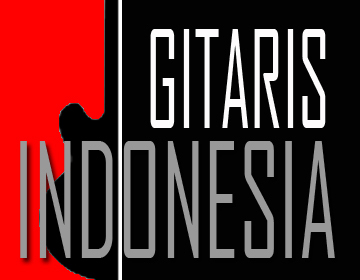 He initially studied the guitar to a parking attendant in front of his school, in Samarinda, East Kalimantan. After school, he always invites his friends to learn guitar together. Since then it is naturally self-taught. In his childhood Eet was often invited by his father, Abdoel Wahab Sjahranie, former Governor of East Kalimantan from 1967-1977, to Jakarta, visiting his brother who was studying in the Capital. The elder brother happened to be adept at playing classical guitar. The opportunity was not wasted Eet to steal his knowledge. Coming back from Jakarta, Eet showed his talent in front of his friends. Feeling getting more attention from his friends, Eet more confident to deepen the technique of guitar playing. His desire was more passionate when his parents bought an electric guitar. Unlike what he experienced while strumming an acoustic guitar, with an electric guitar he began to recognize sound accessories. His music references gradually began to grow as he began to expand into western songs. In 1978, Sjahranie's family moved to Jakarta. He continued his studies at Cikini College. Know Eet smart to play guitar, his school friends who like ngeband invited him to join the High School Band Festival in Jakarta. Unexpectedly, Eet got the best guitarist, while Cikini's Band was ranked second. In addition, Eet helped to fill the music for his school operetta. There he met Iwan Madjid, who later introduced him to Fariz RM and Darwin. From several meetings, they formed a band, WOW. But not yet realized, Eet has already gone to America. WOW himself had released an album, minus Eet. In the land of Uncle Sam, Eet took the Sound Engineering Recording Workshop in Chillicote, Ohio for three months. Over there, he met many Indonesian musicians, who also are studying music, among others old friends, Fariz RM, Iwan Madjid, and Ekie Soekarno. Their friendship continued in the country. On several occasions, Eet often invited recording. When Fariz RM initiated the Barcelona album project, Eet filled out his guitar tracks. Or when Ekie Soekarno made the album Kharisma I and Kharisma II. While working on an album Ekie, Eet met Jockie Surjoprajogo, who then took him into God Bless, replacing Ian Antono. Eet also worked on rock solo project Ecky Lamoh. From the working relationship that Eet formed the rock group EdanE, which is the abbreviation of the two names.